This recipe from What's Gabby Cooking was on my list from last week. It was one of those sides that I planned to make with veggie burgers we had in the freezer, but for one reason or another, kept getting pushed back a day, er, week. We finally got around to making it and it was the perfect salad to take with us to a picnic last night! Cook the couscous according to package directions. Once cooked, remove from heat and set aside to cool. 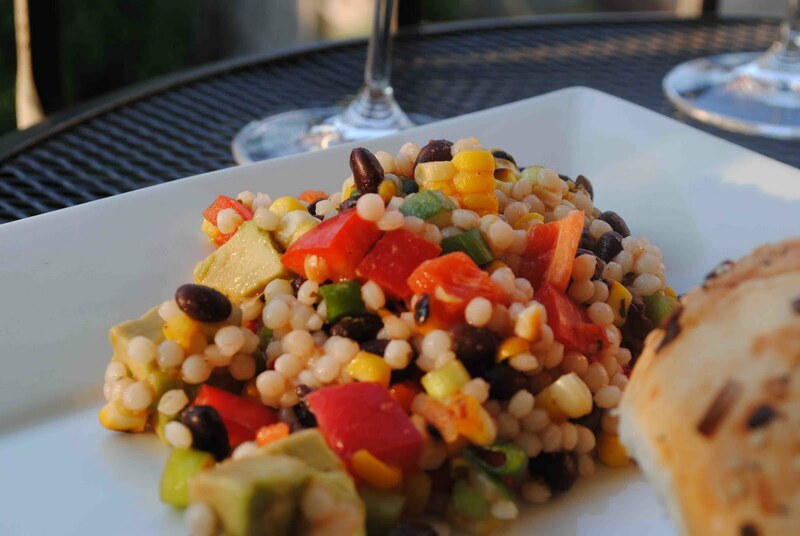 In a large bowl, combine the red pepper, black beans, corn, scallions, cilantro, salsa, and lime juice. Add the couscous and toss together. Season with salt and pepper. Taste and adjust lime juice if needed. Before serving, add chopped avocado. Recommended is one avocado for every two servings.